If you are nearing the end of your online masters in engineering degree then you may be thinking of way to celebrate your success. What better way to celebrate than with a fabulous trip with friends or loved ones? With that in mind we’ve put together a list of five travel destinations that are ideal for engineering students. There’s a little something for everyone, whether you want to relax on the beach or have a more active getaway. If you are traveling on a student budget you may think your options are rather limited, but that budget can actually get you to some really cool destinations. Ecuador is ideal for anyone looking to immerse themselves in the South American culture. This country is known for its adventure opportunities and boasts absolutely stunning terrain. Of course the most popular tourist spot is the Galapagos Islands, but be sure to look beyond the islands at what else the country offers. For some people a vacation means a chance to relax on the beach, enjoy the warm waters of the ocean or pool, and basically not have to do anything. That is exactly what the Dominican Republic has to offer, all at an affordable price. Of course if you want to be adventurous you can sign up for a tour through your hotel and explore some of what the country has to offer. Places such as Puerto Plata and Punta Cana are known for their gorgeous beaches, luxurious all-inclusive hotels, and for attracting tourists from all over the world. This island could easily become your new favorite vacation destination. 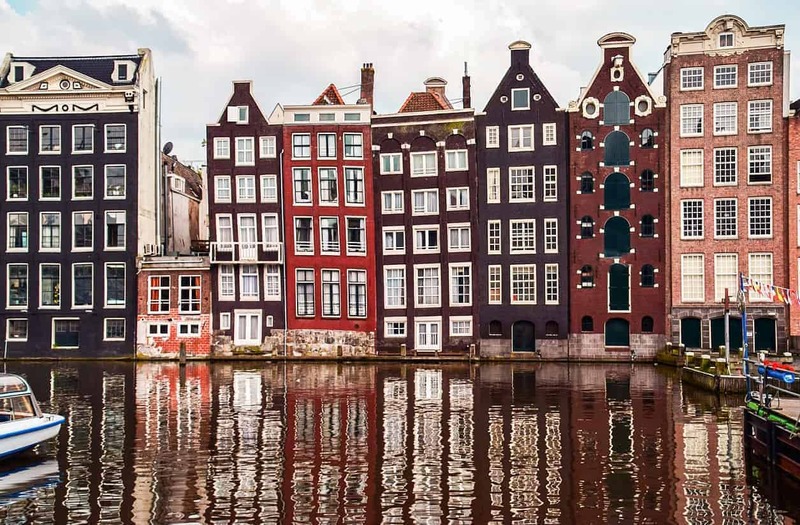 If you’re looking for a taste of the European lifestyle then Amsterdam, Netherlands is a great destination. Not only will you be able to enjoy all the historic charm of the city, but you’ll be able to do so on a tight budget. This city is known for its architecture, tourist sites, and of course it’s non-stop nightlife. Don’t expect to do much resting on this trip! If budget isn’t really an issue and you’ve been saving up for that special end of school trip, then Australia is well worth considering. For many people this is a trip of a lifetime as you will experience sights and sounds like you’ve never seen before. Australia offers so many fabulous cities and towns the hardest part will be narrowing down your trip to just one region. You can make the trip about the outback and the wildlife, the desert, or even the beach depending on where you go. Yes this one is pretty well known, but what would a list of student vacation destinations be without Panama City Beach, Florida. Of course this destination really shines during spring break when literally thousands upon thousands descend on the white sand beaches. This vacation is best enjoyed with a group of friends, and if you live close enough it could even be a driving vacation. Finishing up your online masters in engineering is the perfect time to celebrate and treat yourself to something special. You’ll be able to create a memory that lasts a lifetime. The Netherlands and Australia are definitely on my list! I love what I have seen from afar and I am not even an engineer! I’ve been to 3 out of 4 of these places. I’d love to visit Australia. I grew up going to Panama City Beach for summer vacations. Those all sound like amazing places. I am not sure what my kids will be when they grow up, but I hope they travel a lot. This is such a great idea!!! What better than seeing fabulous buildings!! Australia has been on my bucket list for YEARS. I’d love to visit there. Would love to see Ecuador as well. Thanks for sharing! Gong to Amsterdam in the Netherlands is a great choice. So much to see and experience during the day. At night the city doesn’t shut down. Yep no sleeping on that trip. I know you suggested these for engineering students, but someone who is in the creative arts these place are doing wonders for my imagination. Just think of the wonderful stories that you can tell and imagine if the buildings could talk? I’m not an engineering student but I sure would love to visit all of these destinations!! Great post!! This is a great list of places to visit for anyone! I can only imagine how fun these places would be for engineering students though! We went to the Dominican Republic in 2015. It was a really beautiful island. There is a lot to do there. These are such great places to visit. When I graduated from engineering school, it was a special time for me and my family. I’d love to visit any of these places. My cousin is currently studying chemical engineering. This would be great info for him! After all of that studying, a well deserved break is definitely deserved! Great suggestions, I’ve been to a couple of these destinations and would gladly visit the rest. Great list of travel destination. I haven’t been to any of these places and was an engineering student too so this sounds interesting. I would love to go to Amsterdam! It’s on my travel bucket list for sometime in the next 5 years! Amsterdam seems to have something for everyone. Some of my family who just got back and were enthralled with all of the history, people on bicycles everywhere, and the surrounding areas with canals and windmills. The energy of the city at night is really something else, too. All of these places are on my bucket list!! I can’t to visit them. Great post! Australia is definitely in my list! I would love to visit there one day.